Stamford Bridge, the home of Chelsea Football Club is located in Fulham and is one of London’s top sports venues. Like every football club in the English Premier League, Chelsea are working hard to meet the needs of their disabled supporters. 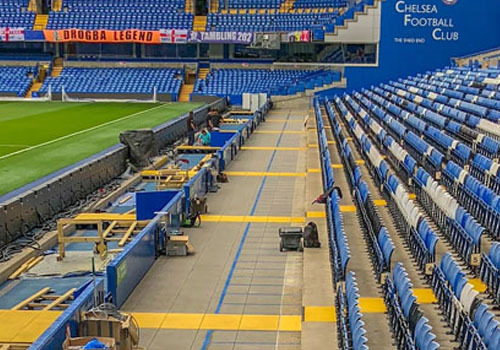 During the Summer of 2018 there has been determined activity at their West London home ground of Stamford Bridge to improve wheelchair access throughout the stadium and add over 200 new wheelchair suitable spectator locations. A major part of this work has been resurfacing the Lower West Stand, which runs the entire length of the pitch, as a step free area which is now suitable and practical for every Chelsea fan to use. 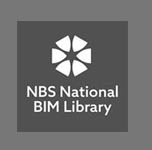 Terry White, Chelsea’s Special Projects Manager chose to use Ebema concrete paving on Buzon DPH5 pedestals. The new Ebema paving was supplied and installed by Alfresco Floors. Chelsea stadium now has around 450sqm of 60mm thick Ebema Rockstone pavers, and the client is delighted. The paved area was installed ahead of schedule (at less than the nearest competing quote) and has been universally approved by staff and fans alike. Moreover, the government officials who monitor and approve disabled facilities in all the UK Premier League stadiums have signed off the new installation with flying colours.